Growing up, Tết would be a huge celebration at our house with extended relatives coming over for TONS of great food, catching up, praying/giving respect to ancestors, playing Tết games like Bầu Cua Cá Cọp, and of course every kids favorite–getting Lì Xì. Lì Xì are monetary gifts in red envelopes and symbolizes good luck and wishes for the new year. With all that familial and cultural history, you can imagine, I felt pretty bad for not sufficiently preparing for Tết. It’s days like these that make me miss my mom even more than normal. So, I picked something simple but a dish that would make her proud– Chả Giò. 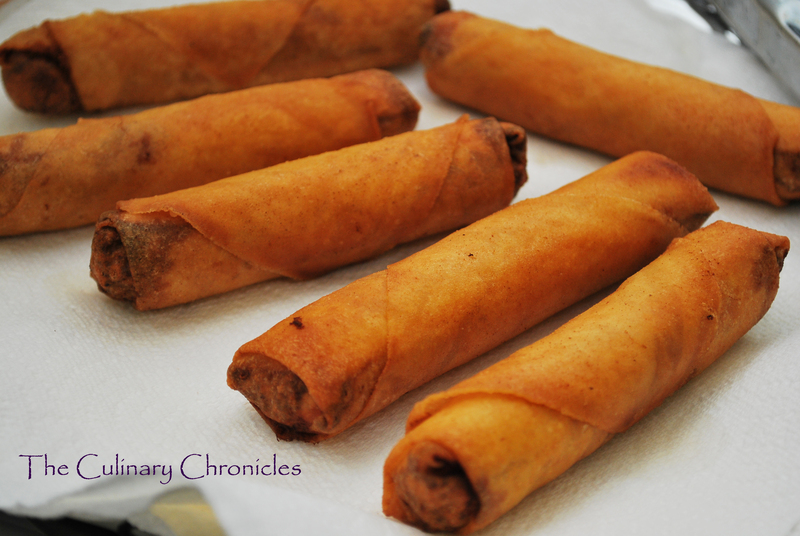 Chả Giò are Vietnamese egg rolls and can vary in preparation by the region of the country you are from. Traditionally made with rice paper, Chả Giò are now often made with wheat flour sheets—like its Chinese counterparts. But to all of you, I wish you the best that the Year of the Tiger has to offer! 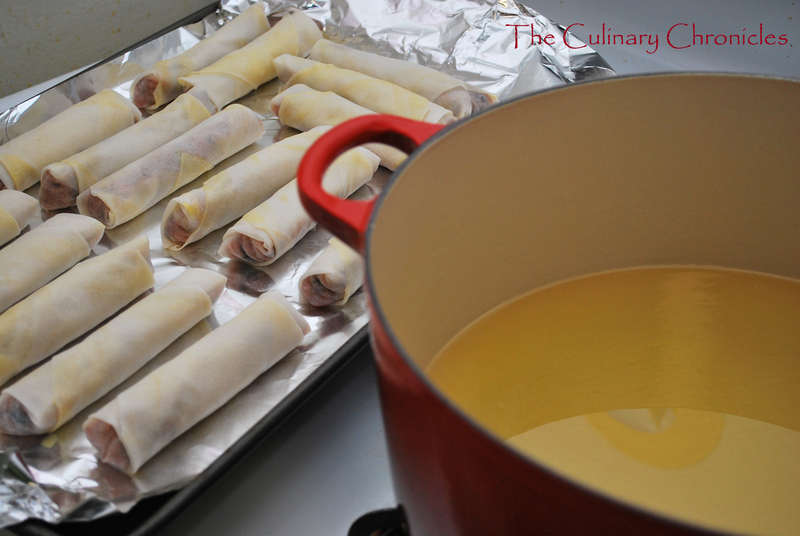 Chả Giò all rolled up and ready for deep frying. 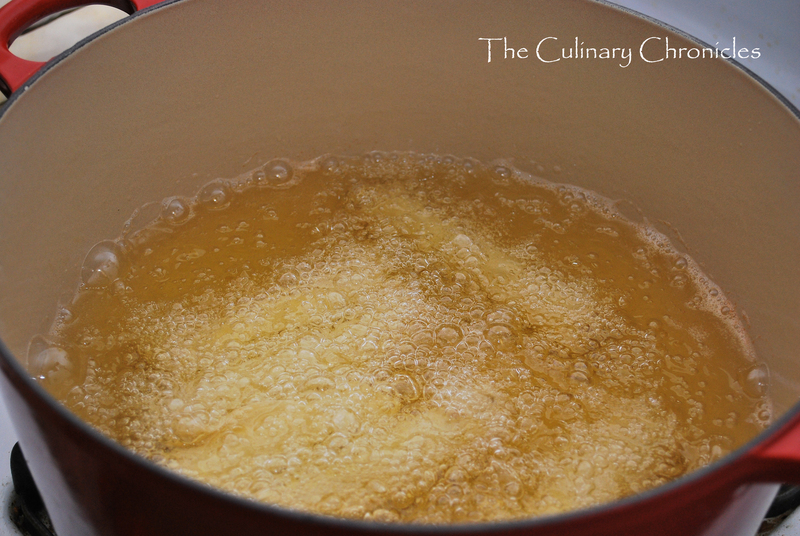 Chả Giò in Canola Oil over medium-high heat. 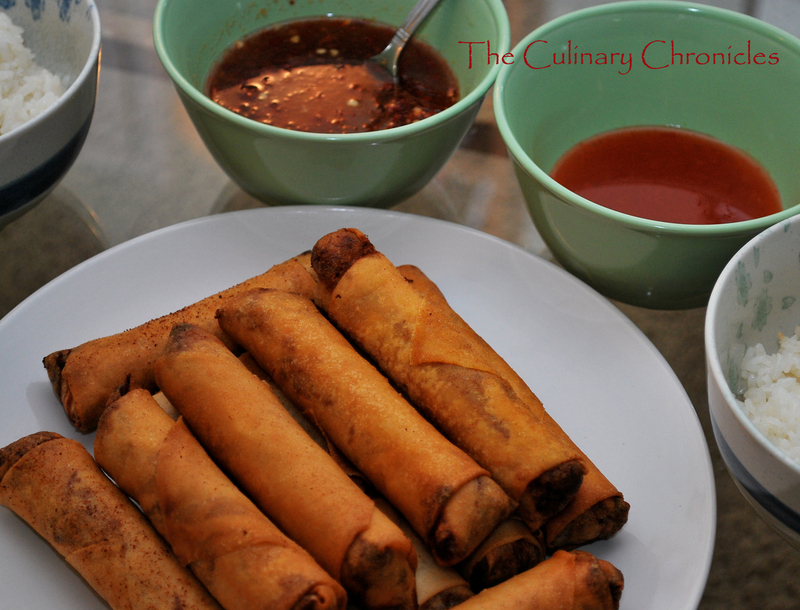 Serve Chả Giò with Jasmine Rice and your choice of dipping sauces. I whipped up a traditional Nước Chấm and used a store bought Sweet Chili Sauce. Clearly my favorite things at Vietnamese weddings are the Xoi Gat. My mom even tried to smuggle some Gat over from VN to plant a tree here. That didn’t work so well…..